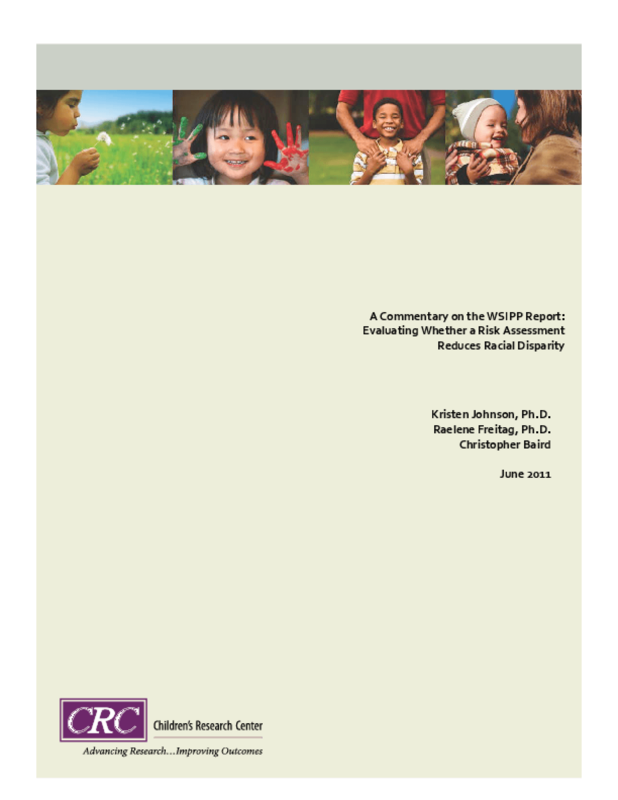 The Washington State Institute for Public Policy (WSIPP) recently released a brief report on whether or not implementation of a risk assessment reduced racial disproportionality. This response to the report briefly reviews the findings, critiques the relevance of the research hypotheses, and describes limitations of the research design that undermine the credibility of the conclusions drawn from the study. It also describes a more comprehensive approach to reducing racial disparity and evaluating the success of these efforts. Copyright 2011 National Council on Crime and Delinquency. All rights reserved.